« 90’s Country Night with Drake Hayes Band! 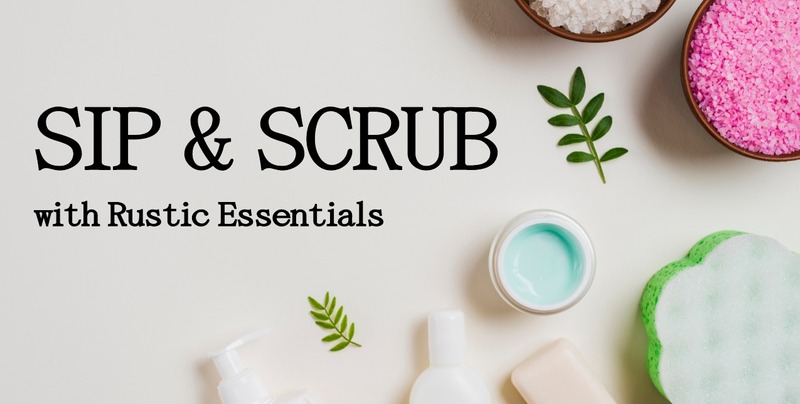 Grab a friend and join us with Rustic Essentials in making homemade Sugar Scrubs! Enjoy your favorite wine or beer from Pecos Flavors Winery while you craft. These scrubs will be made using a variety of oils for moisturizing and softening purposes and sugar for exfoliation. We’ll have our most popular essential oils and fragrances to choose from, like lavender, lemongrass, tea tree oil, rosemary and spearmint for their calming aromas and skin-loving benefits. Extra additives like activated charcoal, mica colorants, lavender buds and dried florals will also be provided so guests can get creative. Call 575-627-6265 to book your spot, or purchase tickets through our site.